Janathon day 25 1 hour BMF class, 2.5 miles run. The same as Monday, without the snow so it was sprint races not snowman building. I know which I prefer! Categories: Janathon, running | Tags: British Military Fitness, Janathon, running shoes | Permalink. The obvious question, where’s the missing shoe? Hope you are just using that one and hopping. Yes! Although 2 pairs are half a size too small now and worn by Ed. But the real question is, is that the lot? Or are there another many just out of shot? I like the orange ones. Wow. I only have 1 worn out pair. Glad I’m not the only one with a substantial collection…! 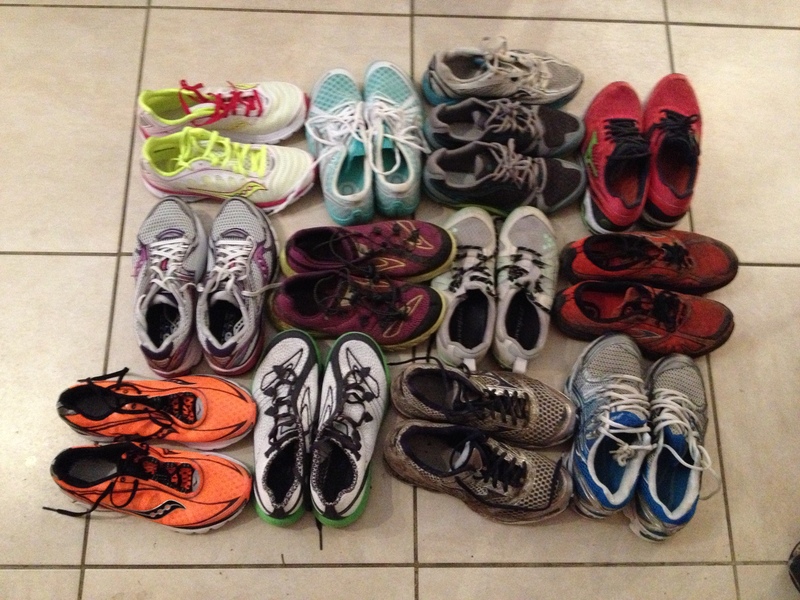 My other half thinks it’s weird I accumulate trainers in the same way most other women collect high heeled shoes!